Jon Sall graduated from Elk Grove High School in 1984. Since then, he pursued a career in photojournalism and digital filmmaking. Jon Sall is in the 2016 CinéStudent Film Festival Alumni Spotlight. 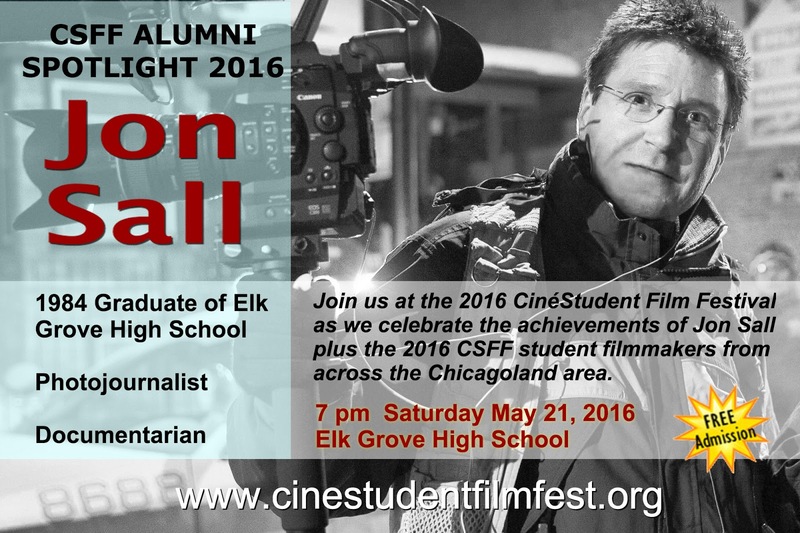 Join us on May 21 as we celebrate the career of Jon Sall and the 14 student filmmakers competing for prizes at the 2016 CinéStudent Film Festival. Along with fourteen student films, we will also show a short film by Jon Sall. The festival begins at 7 pm on May 21 at Elk Grove High School. Admission is free. Spread the word.